The constellation of Auriga, the Charioteer, is best viewed in Winter during the month of February. It's brightest star is Capella at magnitude 0.80. 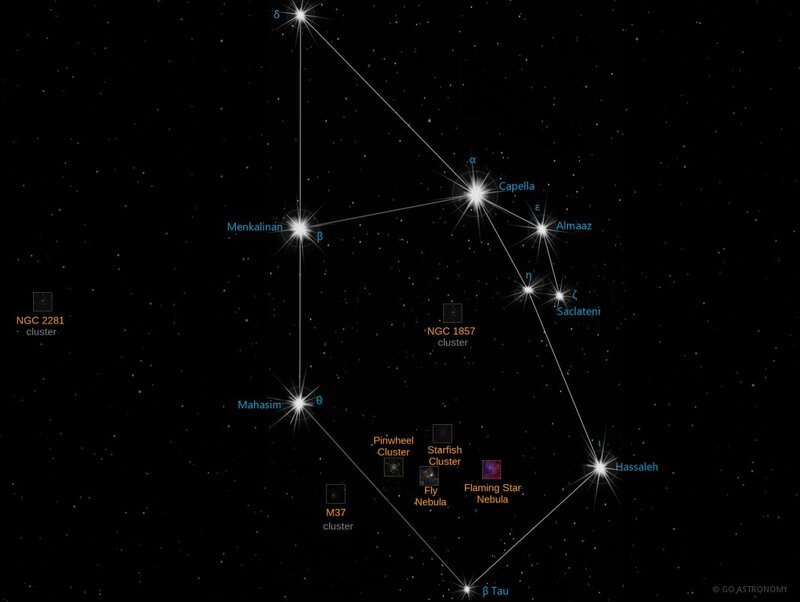 The boundary of the Auriga constellation contains 8 stars that host known exoplanets.